Objective selection process for nominated wealth managers: Award candidates are evaluated against 10 objective criteria such as client retention rates, client assets administered and a favorable regulatory and complaint history. The resulting list of 2013 Five Star Wealth Managers is a select group, representing less than seven percent of the wealth managers in the Twin Cities area. Now Mpls.St.Paul Magazine, Twin Cities Business and Five Star Professional have teamed up to announce the winners in a special advertising section of their January magazines. Brad Connors has been an investment representative since 1994 and advises individuals, corporations, and institutional investors. 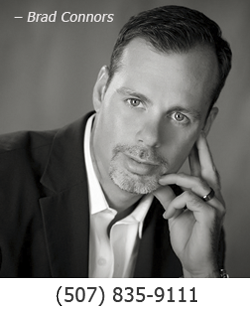 Maintaining clients’ trust and taking the time to understand their individual needs is Brad’s top priority. Brad’ office is located at 213 15th Ave NE, Waseca, MN 56093 and he can be reached by phone at 507-835-9111. 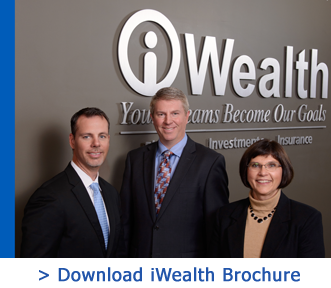 Please visit www.iwealth4me.com to view Brad’s eight custom videos that help describe the iWealth difference.